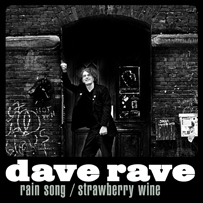 The second single from the new (2010) Dave Rave album, Live With What You Know, features members of The Trews. The B-side, Strawberry Wine, was created with Dave's long-time collaborator; guitarist Mark McCarron. And yes, the cover photo was taken in Hamburg in the famous John Lennon doorway.